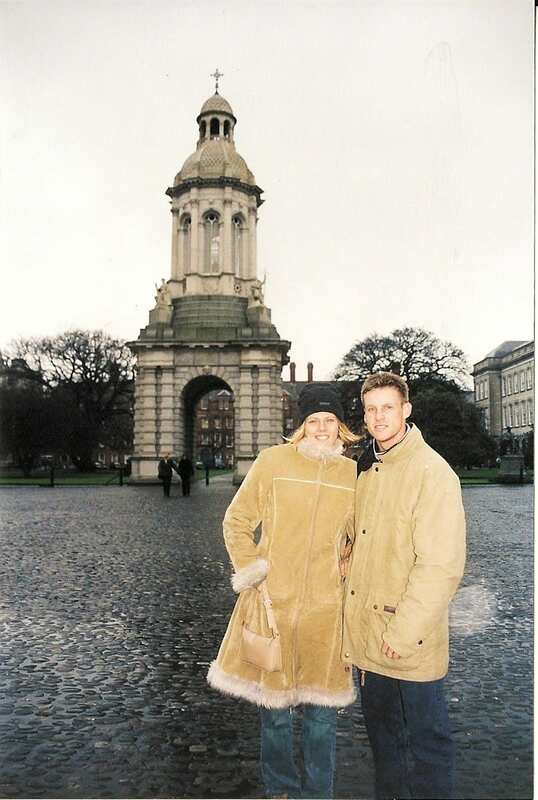 Craig and I lived in Dublin for a year in 2003. I lived there for a summer with my best friend in 1999 and I was recently exchanging emails with a friend sharing my tips of things to do in Dublin when I thought this really deserves a post. It is always great to get advice from people who have not just travelled to a country, but lived there. There is more to an area, then just what the tourists see. Although, I must say that in Dublin, there is so many tourist places that are worth seeing. 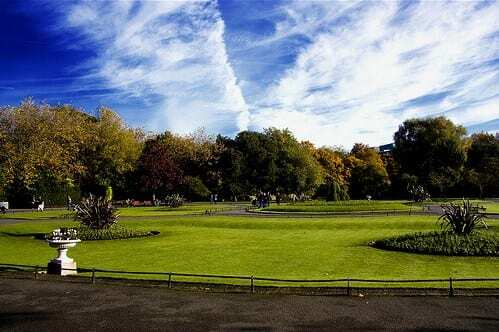 St Stephens Green is a small garden park at the end of Grafton Street on the South side of the city, and is one of the best relaxing things to do in Dublin. It is the largest of the Georgian Square parks. St Stephen’s Green was one of my favourite places in Dublin to sit and relax, watch the world go by, and have a beautiful picnic lunch. You will find it popular with visiting tourists, students and workers taking a break from a busy day at the office. 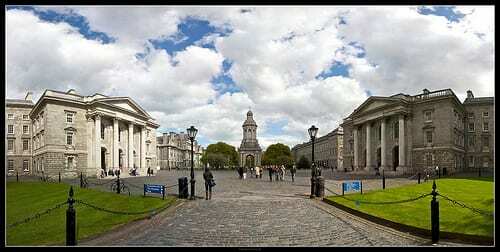 Trinity College is located right in the centre of Dublin, and is Ireland’s oldest University and most well known. The lawns and cobbled quads are a pleasant escape from the mad rush of the city that lies beyond its walls. Take your camera and make sure you take a photo in front of the famous Trinity Bell. The cobbled stones of Trinity College will transport you to the 18th century when the magnificent old Library Building was constructed. We recommend this guided tour to see the famous Book of Kells, a ninth century gospel manuscript famous throughout the world followed by a walk through the gardens and grounds of the college and a visit to Dublin Castle. Going to Dublin and not drinking a pint in a pub is like going to Sydney and not seeing the Opera House. And guess what? You will never be left scratching your head as to where on earth you can do this. 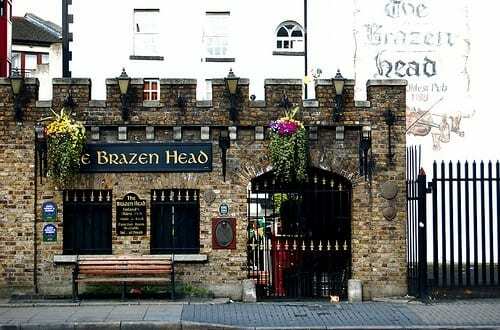 Dublin has a pub on almost every street corner and one in between. See our post on the best pubs of Dublin for some ideas, or just find a pub in whatever street or suburb you are wondering along. The atmosphere is warm and cozy, the food delicious, the beer flows freely and the craic is good. I recommend making an afternoon or evening with this enjoying some good old Traditional Irish music and dancing. You’ll be bopping, singing and dancing with the local crowd after only a couple of pints of Guinness. No trip to Dublin would be complete without a visit to the Guinness factory. 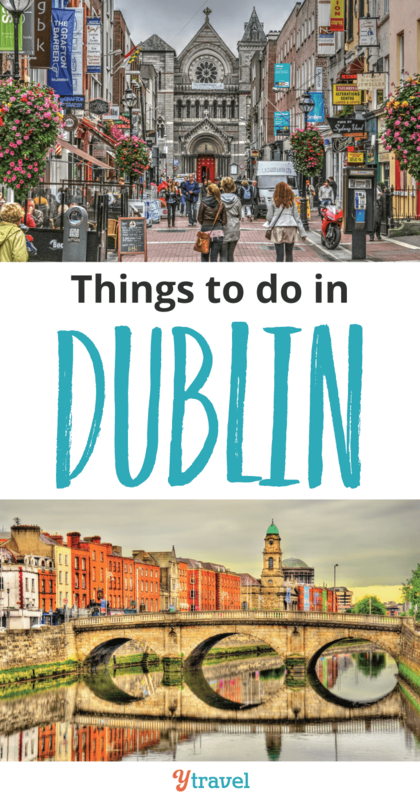 It may be touristy but it definitely should be on your list of things to do in Dublin. This was where I had my first pint of the velvety black stout, and was not to be my last. I was hooked. 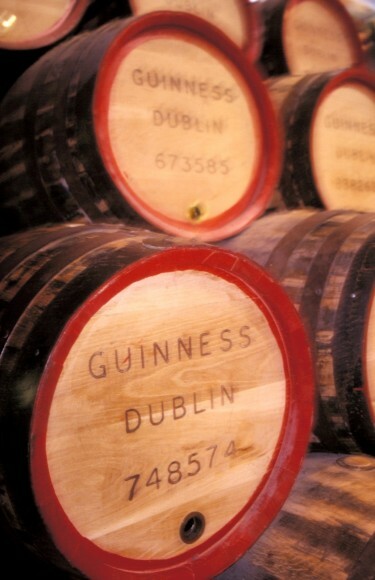 It is not just a pint of Guinness that comes with the entry fee, that is worth the visit, the museum gives a fascinating insight to the history of Ireland’s favourite drink, how it is made and the influence it has over the world. Click here for tickets. You might as well visit the place that is responsible for that strange malty hoppy smell that can be smelt all over the city. To top it all off when done, you can sit in the top level bar, Gravity, that gives a magnificent 360 degree view of Dublin. 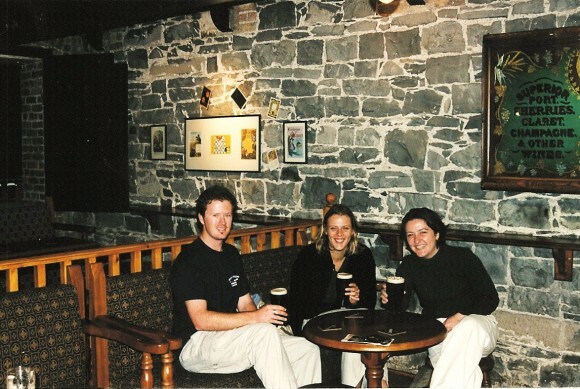 We thoroughly enjoyed taking our visiting guests there, especially when they did not like Guinness and thought it only fair to hand their free pint over to their tour guides. My best friend and I used to spend many a three am morning in the late night “coffee” bars. 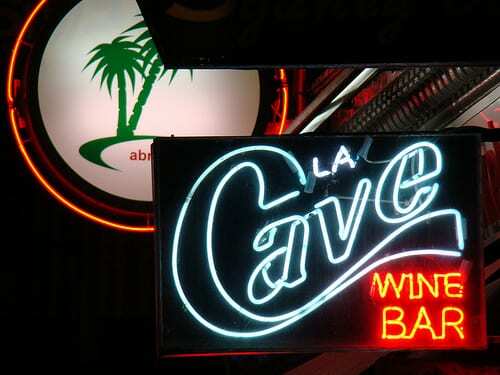 This was the only place you could find a “drink” after the midnight curfew. They not only look great with their layers of caramel coloured layers topped with silky white cream, but they taste divine. 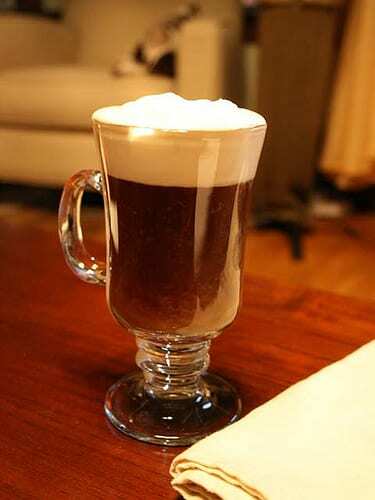 You will find an Irish coffee in any bar or restaurant. If you are planning a big night out, make a wine bar a place to stop after a few pints in the pub. The wine bars are lots of fun to drink at. Some have evening jazz and wine tasting events. Of course wine or champagne is all that is on the menu, and it comes at a price, but it was often the only place you could continue partying into the early morning hours, and the underground, cavernous buildings they are held in the streets running off the Georgian Square of St Stephens Green makes it just a cool place to have a drink. When we lived in Dublin, we were big meat eaters. I’m not sure how we would manage now being vegetarians. 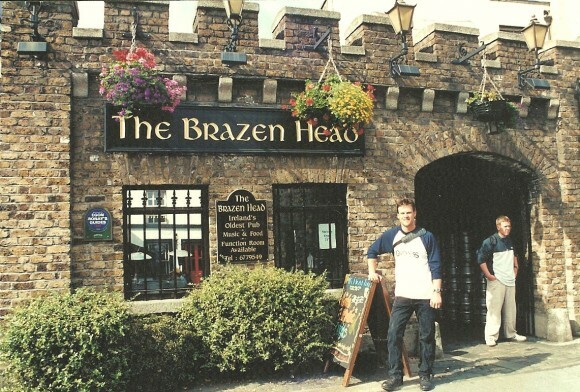 Irish food is delicious and well worth spending a day or tour sampling. Some of our favourites were potato and leek soup, bacon and cabbage, Guinness or Irish stew, and of course potato. Never fear about having the opportunity to try this. Each dish you order will come with three varieties- mashed, baked, and boiled. The Irish don’t want you forgetting about those famine years. 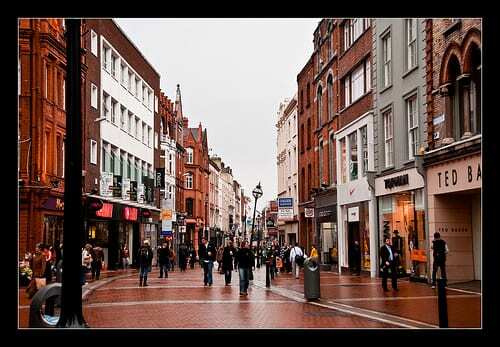 Grafton street is on the South Side of the Liffey and is a high end street for shopping. If you don’t have the money to spend in boutique and departments stores such as Brown Thomas, you can window shop as you walk amongst the crowds along the cobblestoned street, people gazing and watching the ever-present buskers that line the streets. There are plenty of places to rest your weary feet for a coffee or drink. I love the atmosphere on Grafton St.
One of the best live sporting matches I have ever seen was the semi-final gaelic football match between Donegal and Armagh. 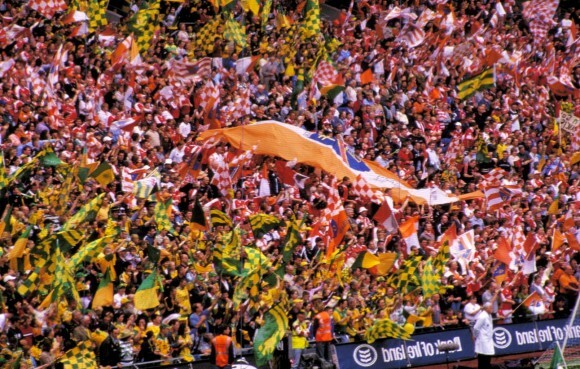 The stadium was a sea of brightly coloured orange and green of jerseys and team flags madly waving in the crowd. The atmosphere was truly electric with fans on the edge of their seat screaming and cheering with every play of the ball. It was non-stop thrilling action. 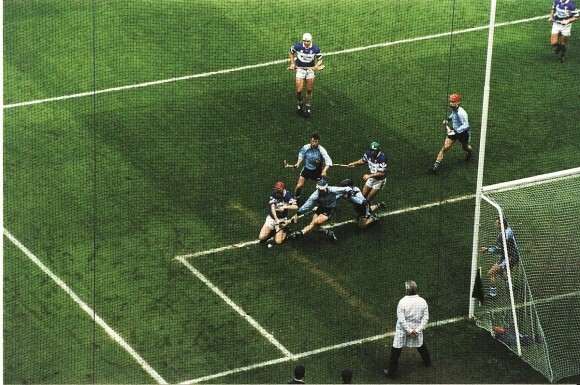 I cannot recommend highly enough that on your trip to Dublin, you organize tickets to a live match of either hurling or Gaelic football at Croke Park as one of your things to do in Dublin. Dublin has so many great outer suburbs that are worth visiting for a taste of local living. Our favourite was, of course, our student village, Rathmines, that was full of great bars and Irish pubs. 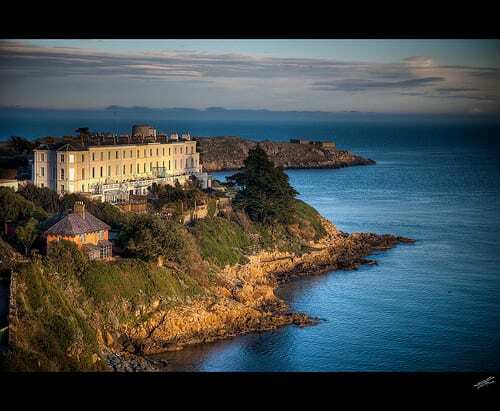 Dalkey and Killiney is where you may run into celebrities such as Bono and Enya, who have homes in these upmarket neighbourhoods by the sea. Killiney Hill offers panoramic views of the surrounding Dublin mountains. You can reach these towns by the DART, the Dublin train service. Howth, popular for the climbing of the 171m high hill on Howth head, is located in the North of Dublin. Just try to climb it on a fine day. Ha Ha Good luck in- Ireland is called the Emerald Isle for a reason!! 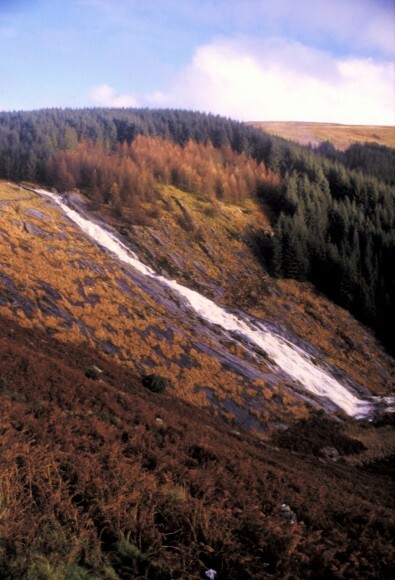 Only an hour south of Dublin is a scenic drive that takes you through the Wicklow mountains to an impressive lake set in the valleys. Guinness Lake is aptly named for its dark colour, and with its white sand sitting at the top makes it look like a foaming pint of Ireland’s finest. Actually I have heard it is named for the Guinness family whose property surrounds the area but I like the other reason better. It is a beautiful spot for photographs and to enjoy the peace of the Irish countryside. Ireland is not just known for its black ale and leprechauns, but for the incredible literary talent that has come from the hills of the Emerald Isle. One way to get to learn more about these literary geniuses is by doing a Literary Pub Crawl through the streets of Dublin, visiting these author’s old writing and drinking haunts. was never really that interested in the Irish writers; I tried my best to read Ulysses but soon gave up. We went on this tour with some friends, and surprisingly had a great time, and learned a whole lot as well. I now feel like going back to Dublin and doing all these things again. One thing’s for sure, your trip to Dublin will be nothing short of memorable. Booking.com has 281 properties in Dublin from hotels to apartments and hostels worldwide. You get free cancellation on most rooms and a best price guarantee. Either way. Dublin will certainly help you out. It turned me into a massive Guinness fan! comprehensive list! have to get there one day. hurling sounds like a pretty brutal sport, would love to see it live! there are a few things here i hadnt heard of, the guinness lake for example looks awesome. bet you guys had a pretty sweet time living there. Hurling is really brutal, those sticks fly around everywhere. It is great to watch live although it was freezing when we went. We loved living there. The rain got a bit too much for us in the end, it was pretty persistent. Dublin is such a fun place to live, nevertheless. Great rundown of things to do. This makes me want to go NOW. 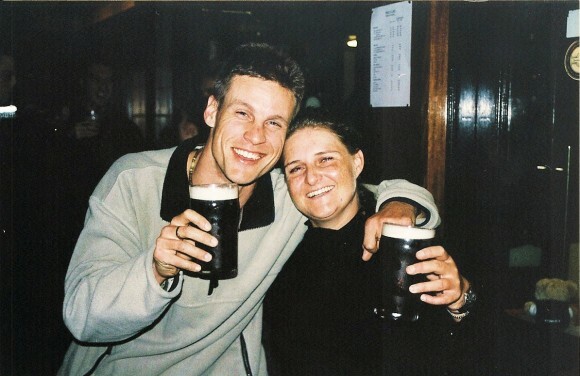 We’ve only been to Dublin once, and it was only for about a day and a half, so we didn’t get to do much (we did fit in plenty of Guinness drinking at pubs and listening to Irish music though-imagine that). I’ll have to remember this for whenever we make it back there. What an awesome guide! No worries. Go buy your ticket! I love Dublin! I was there in the winter a few years back. It really is a beautiful town with friendly people. Highlights of my trip were the Guinness factory and Malahide Castle. We had the hardest time finding any authentic Irish food though. All I wanted was some corned beef and cabbage! Wow, that is surprising you had a hard time finding some Irish food, it could be turning more cosmopolitan now. I forgot about Malahide Castle. I had to have a look at the website to remind myself if I have been there or not, I’ve been to that many. I do remember now really enjoying it too. Dublin is not the most ‘Irish’ of places, and had you gone down the country a bit, more authentic food would have been easier to find. Having said that though, I have never seen corned beef in a restaurant. It would be like going into a nice restaurant in Manhattan and asking for a Sloppy Joe. In fact, as an Irish person I’ve never had corned beef and cabbage. Bacon and cabbage yes. 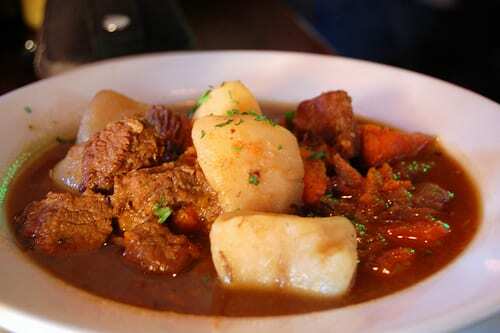 Irish food is generally beef, vegetable and potatoes. The less seasoning the more Irish it is! Nice write up on Ireland, good to hear something positive about the place for a change!! You are welcome. It’s a shame there has not been many good things written about it lately. We love Ireland and I miss it quite a bit. I’ll have to write more posts. Dublin is as Irish as any other part of Ireland, lived there for 38 years, now live in Leitrim this last 12 years, only difference one is urban one is rural. Hope someday to go back to Dublin. I did some of the things on your list, but will have to experience the rest on the next trip. I only had a short time in Dublin before taking a 10 day driving trip. After we checked in to our hotel after a long trip from San Francisco, St. Stephens Green was a lovely place to catch our breath and plan our busy day. So jealous that you got to spend a year in Dublin. We had only a few days there, but did get to Trinity College and the Guinness Factory. I don’t think we have ever come across more welcoming and friendly people as in Irish bars! And they tell such great stories too! Dublin was a ton of fun. I really miss it sometimes, and can’t wait to eventually get back there. Seems like a lot of things in Dublin revolve around that glorious dark brew! No plans to visit Dublin at this point in time, but hopefully sometime in the future! I’d love to see a Gaelic football match. Gaelic football is mad fun. In Ireland most activities involve a pint of the lovely stuff- rain, hail or shine. 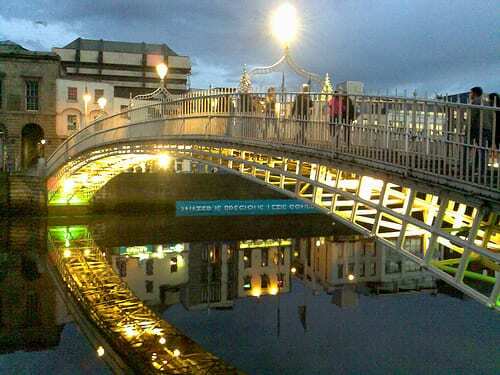 These are fabulous photos and great ideas for seeing Dublin. I know for me, the best way to connect with a place is to see the local sports teams play. I will never forget the Barcelona match I went to – great experience and filled with passionate locals! 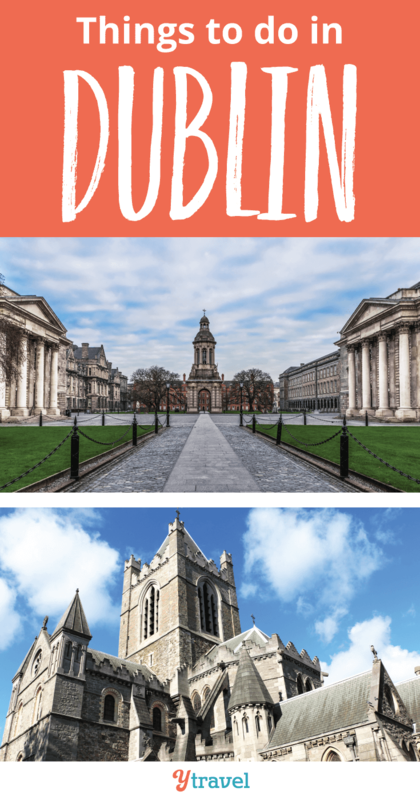 Dublin is definitely on my list! Oh these are definitely things that would excite me on a trip! The Guinness tour, the stew and of course the gorgeous views! I wanna go to Dublin! Dublin is a place that should be on your list. You would love it! I actually read Ulysses — sad, I know — but if you ever go back to Dublin read The Dubliners instead. They’re early short stories of Joyce’s and much more accessible, really moving, not so, err, modernist — AKA pretentious. I might have to give that one a try, maybe warm me up to attempt Ulysses again. Just want to try and see what all the fuss is about. What a shame you didn’t! You guys would love Cork and Ireland. It’s a fun place to live for awhile. You have to get used to lots of rain though. It is the rain that can kill me! I am a sun baby! You are right, this deserved a post. I’ll keep this for future reference. great post! i’ll be going to ireland this june so, yeah, will take your advice. Dublin appears to awesome and beautiful place.In future i will surely visit it.The captures explain the beauty of the place.Like the write and follow your blog in future. 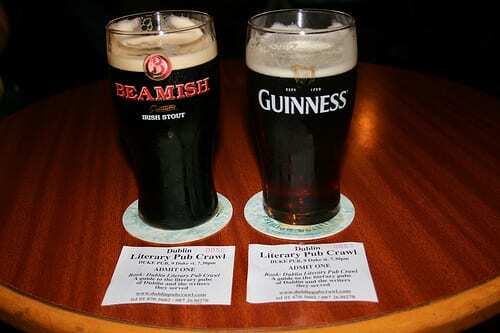 A literary pub crawl!! Oh my, adding that to the list. And we are all about the sporting events – can’t wait to take in a few of those. You are killing me Dalene. I just want to come with you two!! Ah the memories. You will have such a great time. And the rest of the country is just so beautiful as well. I should do another post up with highlights around the country too. Cant’ wait to read all your stories. Hey, thanks so much for the “things to do” list. I was looking at a few sites, and you had the most interesting points of interest. Thanks a million. no worries! Glad we could help. thanks for appreciating. 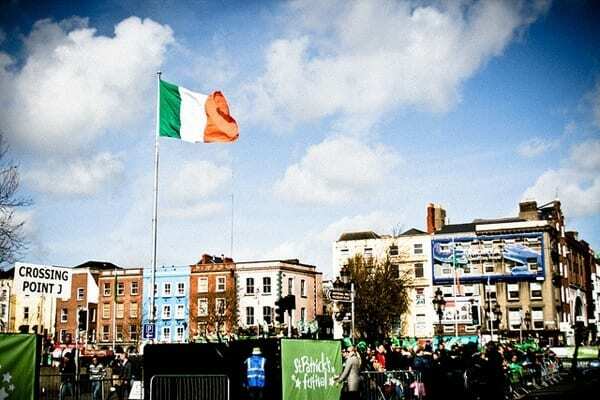 We are traveling to Ireland in June 2013. Where do we look to find information about ancestors from the Cavan/Feranaugh area. I actually have no idea. I would start with Google! Hi Caz, your blog is wonderful, as you’ve probably guessed I’m from Dublin and go back as often as I can, reading your blog just makes my visits all the more urgent. Do you do blogs on other cities/ countries ?. Thanks Damian. Great to see some non-Irish enjoying Gaelic Games. Its a great spectacle no matter what match you see. Hi there! Just discovered your blog and I’m incredibly inspired! I am about to finish up my degree in teaching, and I would love any advice you have to offer- I’m an American student. Are there any organizations that have placed you in other countries that you’d recommend? I’m especially interested in Ireland. Thanks in advance!! I was just wondering, what would be a good time frame ( # of days ) to take in a good amount of different things to do in Dublin? I would also like to tour around the island, to venture out into the “real” Ireland. Is two weeks to short of time to accomplish this? Would three weeks be better? We have booked a 10 day Best of Ireland tour and have extended it by 4 days to really experience Dublin. My husband and I will be celebrating our 50th wedding anniversary and our two children and their families are sending us on this fantastic adventure. We will be there for the first two weeks of May and can hardly wait. Any suggestions about clothing other than pack a umbrella? I am researching all of the information about travel and I came to your site. Enjoyed the read and even made some notes. Thank you for sharing. That’s super exciting. 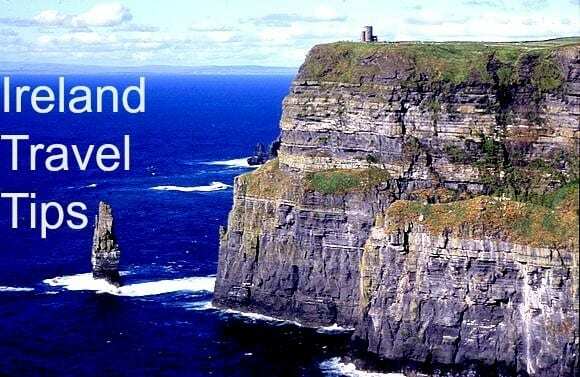 What time of year will you be visiting Ireland? As for clothing, you probably know the weather in Ireland is unpredictable and rains a lot. So comfy waterproof shoes would be good, also good wet weather gear and layers. Have a great trip. I came across your post on Pinterest. I grew up in Dublin and can identity with so many of your great suggestions. 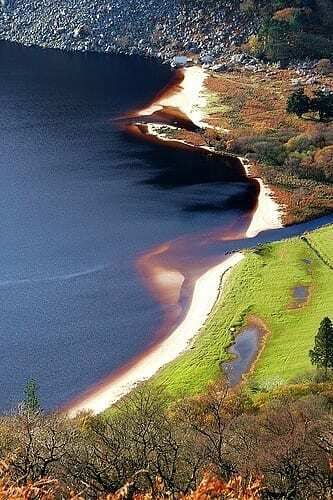 I’m pretty sure the Guinness family imported white sand from Scandinavia to be deposited at the top of the lake, giving it a pint like contrast to the naturally peaty water. There’s no white sand to be found anywhere near by!